Pick the right type of workout and watch the fat melt away effortlessly and not come back! For most Singaporean women the first exercise they think of when wanting to lose fat is running. Its easy, cheap, quick, requires no equipment apart from a pair of trainers and can be done anywhere. But is it the most effective way to lose fat both in the short and long term? In this article we’ll start off by looking at the various workouts such as cardio, HIIT, yoga, Pilates and resistance training and assess the pros and cons with regards to fat loss for women. We’ll provide you with the tips to spot the best trainers and how to avoid the bad ones. Running, cardio, endurance, HIIT, F45, body pump, Pilates, yoga and resistance training. Which have you tried and which have been the most successful? We run through the pros and cons below. For many women looking to lose weight the first thing we think about is hitting the treadmill and going for a run. This idea has been enforced by many popular media outlets over the years such as Channel News Asia, Cosmo and Her World. It's difficult to get motivated in the first place. Not many people look forward to a lengthy session of jogging aimlessly on a treadmill for an hour. Long bouts of cardio cause your brain to release more of the hunger hormone “ghrelin” at the end of your workout. In particularly you are more likely to crave carbohydrates, over other macronutrients, after your workout and unless you are very disciplined that extra bowl of pasta, pizza, noodles, cakes, cookies etc. is likely to contain more fattening calories than you burned in the first place! In fact, according to Calorie Lab, 60 minutes of jogging burns 408 calories but looking at Cronometer 2 slices of a medium sized pizza contains 466 calories! Increased cardio begets more efficient energy pathways as the body finds ways to repeat the exercise with the least amount of energy as possible. Therefore the more you run, the less calories you burn over time. Considering that you are likely to eat the same amount of food and calories as when you first started running, it will result in fat gain. Fat is inert – it sits there doing nothing. Muscle however is metabolically active, it requires energy in all states even when sleeping. When you run for a long period of time you need to be as efficient as possible, so your body cannibalises the muscle that it doesn’t need for running and your muscles atrophy. More running = less muscle = less energy needs = less calories = greater likelihood of overeating; especially if you stop running for a couple of weeks. If that isn’t enough reason to cut back on your cardio recent research1,2 suggests that excessive endurance training (greater than 90 minutes) leads to myocardial fibrosis, coronary artery calcification, large-artery wall stiffening and increased cardiovascular mortality. If you only do cardio and you carry on eating the same amount of food, you're not likely to lose fat as cardio causes muscle loss which consequently leads to less calories burnt over the course of the day. High intensity interval training has gained popularity in recent years and it can be more effective than long term cardio for fat loss. High intensity interval training usually involves a number of different functional movements and some very intensive short bursts of cardio for a total workout of say 20 minutes. This extreme workout should have you sweating buckets by the end of the 20 minutes and has the effect of jacking up your metabolic rate and promoting calorie burning throughout the rest of the day. In addition, women have very different hormonal profiles than men. We have far less testosterone, far more oestrogen and a much more finely balance hormonal profile that can be easily tipped unfavourably the wrong way. Invariably any kind of additional stress input that affects this delicate hormonal equilibrium will halt fat loss at the door and result in weight gain. Body Pump and F45 type workouts are popular in several of the large commercial gyms in Singapore. Essentially, they are a combination of HIIT and Cardio as described above carry with them all the associated problems. For a well trained athlete who knows how to move her body well, has no faulty movement mechanics or postural imbalances they can be a great occasional workout but for the other 99% of us they should be avoided like the plague. Although both yoga and pilates are great exercises to help you gain control of your body and activate your core, to progress from here to fat loss can take a considerable amount of time. 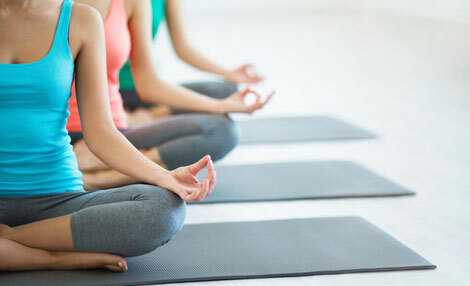 Yoga and Pilates can both be fantastic training modalities. When taught correctly as they both focus on the breath, good core mechanics, stability, postural correctness and body weight strength. The main problem with yoga these days is that in most cases it's not taught correctly and can often exacerbate underlying problems and amplify faulty movement mechanics that should have been addressed first. In addition, they do not challenge the body enough to build enough muscle to compensate for excess body weight if fat loss is the primary goal. Likewise, Pilates is arguable a better place to start to learn how to take control of your body and activate your core however, to progress from here to fat loss can also take a considerable amount of time. 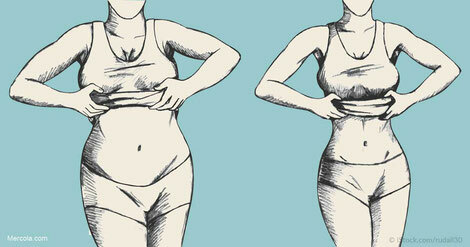 So, what is the most effective workout for women to lose fat? The most effective way for women to lose fat, bar none, is resistance training. Resistance training involves moving your body in a way, usually with weights, that forces your body to adapt by building muscle. Not, as is the common misconception amongst women, adding mass or size but just increasing the density of muscle fibres within your existing frame. This increase in muscle density will increase your metabolism and increase the amount of calories you burn all day and all night. Yes, even when you sleep. As we mentioned before fat is inert but muscle is metabolically active so the more muscle you have the more calories you burn continuously. In addition, the more muscle you have the more insulin receptors you have hence the more spare nooks and crannies you have for storing any excess sugar you may have consumed accidentally. Remember as mentioned in How can a Holistic Lifestyle Coach help you to manage and lose weight in Singapore: Part 1 any sugar/refined carbs you don’t need will get “helpfully” converted into fat cells by your liver to be used in a rainy day! And finally burn calories and lose fat while you sleep! Fat burning whilst training, fat burning at the office and fat burning in her sleep! Fat burning only whilst running, sweating and "enduring"
Great, I’m sold, how to get started? 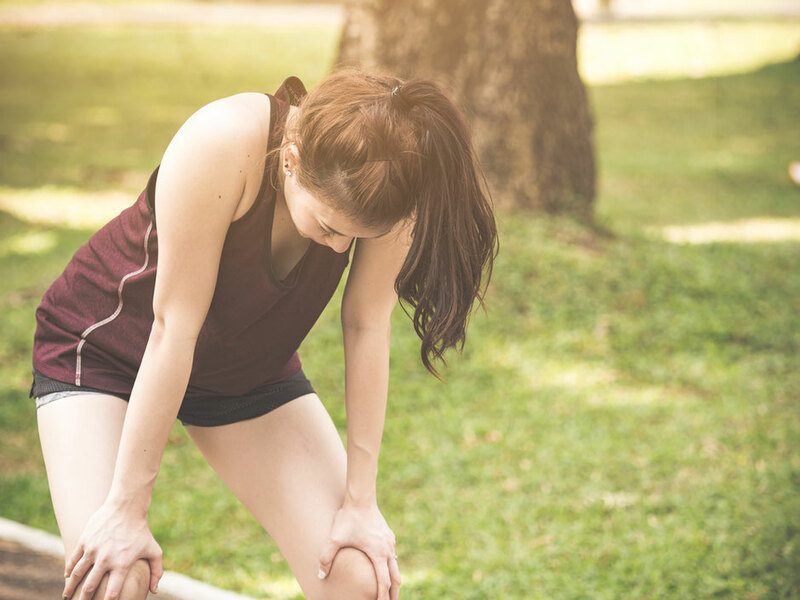 Most professional women, particularly those that have families, cannot just leap into a resistance training program and get stuck in without potentially suffering from serious injuries. Grabbing a few random videos off of YouTube might work for the trained individual but not for a sedentary office worker who may have postural and structural issues and muscle imbalances. It’s important that these are addressed first before engaging in any resistance training program. The best way to address any postural and structural issues first is to seek the advice of a professional personal trainer who has taken the best exercise courses in the world such as those offered by the National Academy of Sports Medicine and the CHEK Institute. 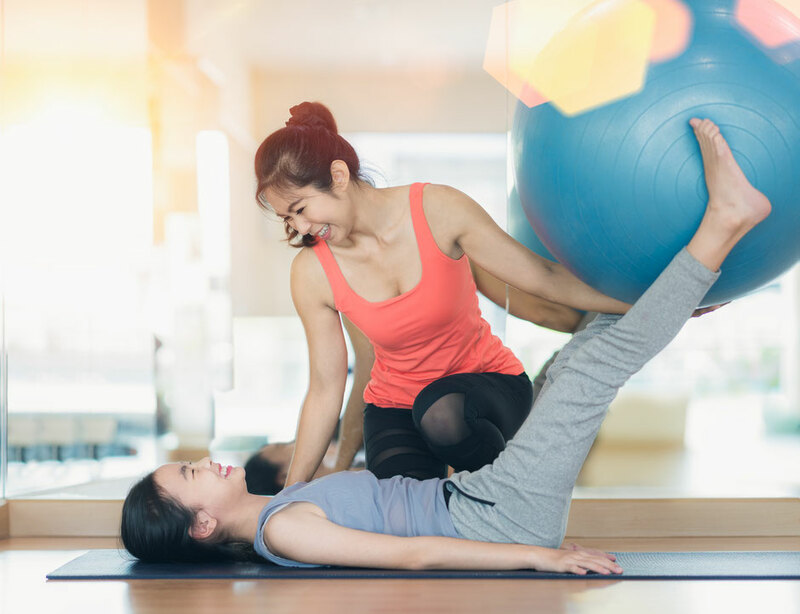 For a more in depth look at what makes a good personal trainer please check out this article on "How to find the best personal trainers in Singapore". Should I use a female personal trainer? If they don’t know the answers to any of these questions or look uncomfortable answering them then I strongly suggest you start backing out towards the door. If in doubt we would always suggest training with a female trainer as they are likely to innately understand the differences between training men and women and are more likely to have more female clients. Best of luck and happy fat burning whilst you sleep! If you liked this article please feel free to sign up now for our popular health and lifestyle newsletter.